I’ve got excuses for the scarcity of reviews this month, and they’re waiting at the end of this list. But first, here are some random books amongst the dozens which I’ve been recommending to young readers as Halloween approaches. I encourage all of you to participate in Neil Gaiman’s invented holiday known as All Hallow’s Read, which we celebrate by making presents of books which scared us; or creeped us out; or made us tiptoe up the stairs a little faster with a chill on the backs of our necks. Give those books to friends of yours who should share your fear. Some of the books I’ve chosen truly terrified me, while others had a great spooky atmosphere without actually causing nightmares. There’s a Hallowe’en book out there for anyone who enjoys the holiday, no matter how brave they feel in the darkness. 1. The Graveyard Book and Coraline by Neil Gaiman. The editions with illustrations by Dave McKean are the best. Wonderfully spooky stories for middle grade readers and above. 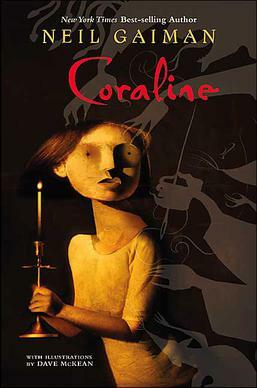 Coraline has been a classic for ages. It has a black cat, a mysterious old house, a scary parallel world, monstrous grown ups, a mouse circus, and the terrifying threat of having buttons sewn on as eyes. 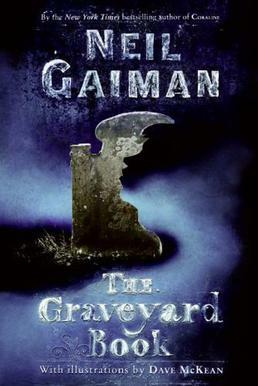 The Graveyard Book is Gaiman’s retelling of Kipling’s The Jungle Book but it’s set in a graveyard with ghosts and vampires raising the young hero as opposed to animals. It’s one of my favorite books to recommend to children who can handle a bit of gloom; there’s a reason it won the Newbury Award, people! I will say that the opening scene of The Graveyard Book is really grisly and disturbing, but if you can get past the first chilling chapter you’re in for one of the most atmospheric and well-told ghost stories published in the past decade. 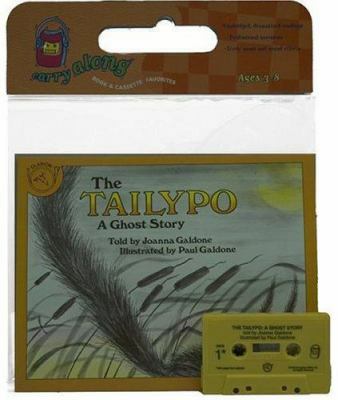 An old-fashioned style of ghost adventure book which came out earlier this month, Constable and Toop reminded me of the books by Eva Ibbotsen I used to really like as a child. It’s spooky and charming, starring likable heroes who have to combat darkness with tenacity and luck. Sam Toop’s dad is an undertaker with a mysterious past, and young Sam hangs around a lot of dead folk. It’s not just corpses who demand his attention, though; Sam can see ghosts and they’re desperate for his help because something’s going terribly wrong with the haunted houses in London. Constable and Toop is a dark Victorian adventure through London with enough violence to be scary without turning into an absolute gore-fest. If you liked Constable and Toop, go find old copies of Eva Ibbotson’s Dial-A-Ghost and Which Witch? I like them even better. 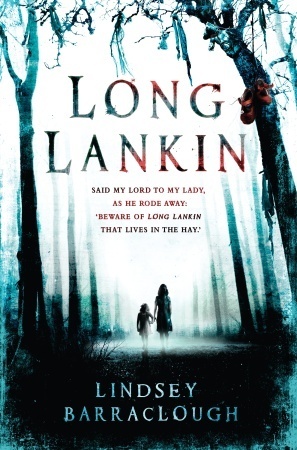 I’ve already written a review of Long Lankin, which you can read here. It’s properly terrifying, exactly the sort of horror story which haunts my nightmares and makes my blood run cold. Even though the main characters are young children, this is definitely a book for teenagers – the plot is inspired by a disturbing English folksong about horrific murders, and there plot is dark and twisted. The atmosphere of a decaying English estate in the 1950s with something evil lurking just out of sight is so chilling and vivid. Even though Long Lankin doesn’t actually take place near Halloween it’s the perfect book for someone who wants to stay up all night quaking with nerves, but who isn’t necessarily keen on big splashy gore and nonstop action. This is the eeriest book I’ve read in ages, and if you’re looking to give an All Hallow’s Read gift to someone who really wants (or deserves) to be scared, this is a good choice. 4. Miss Peregrine’s Home for Peculiar Children by Ransom Riggs. This is another one I’ve already reviewed. Really creepy found photos are combined with a dark and mysterious plot to make a unique sort of YA horror novel. I think the first half of the book is a little more Halloween-y than the second, and in my review I explain why I was disappointed with the story’s direction, but it’s got really uncanny photographs of ghostly children and some great scary scenes. I would give this one to teenagers who like to find weird objects in thrift shops and make up scary stories about them trying to gross each other out. 5. 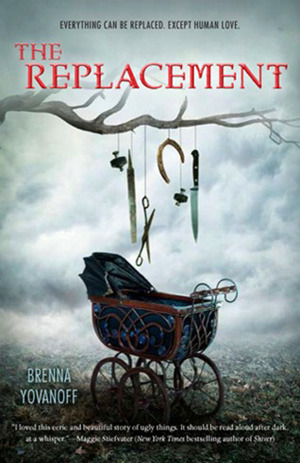 The Replacement by Brenna Yovanoff. 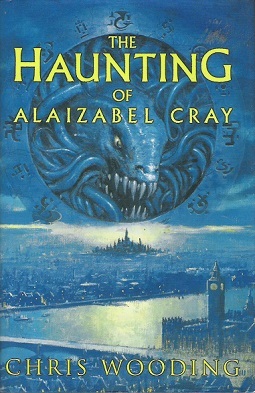 Not only does The Replacement have a great Halloween party scene with some dead girls dressed up as themselves to hide amongst the living, it’s also a great example of how a small-scale YA horror novel can be just as gripping as one in which the whole world is at stake, as long as it’s written by the right author. I loved Brenna Yovanoff’s take on the changeling myth – I mean, can we talk about how the cover alone shouts “hey, Sarah, read me right now!”? Her story about a changeling boy trying to protect his town from the monstrous faery-creatures who influence the area is scary, entertaining, and somehow very moving, too. Since I’m the sort of person who spends Halloween midnights waiting for faeries at crossroads, I really enjoyed this book and thought that the teenage angst and moral dilemmas worked very well against such a sinister background. 6. Something Wicked This Way Comes by Ray Bradbury. Bradbury is always a great bet, and I actually gave this book to a friend on the first All Hallow’s Read after Gaiman declared it a holiday. 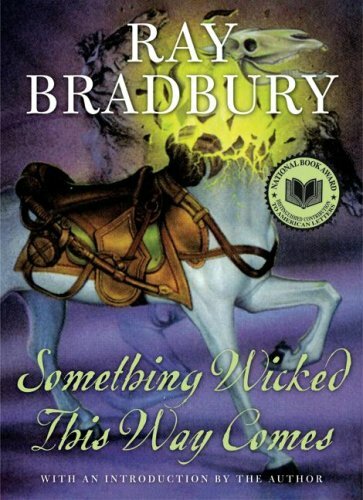 Something Wicked This Way Comes is technically a YA/children’s book, but adult Bradbury fans usually love it, too. This is another new book which came out in October, and one by a favorite YA author of mine. You can read my full review here. 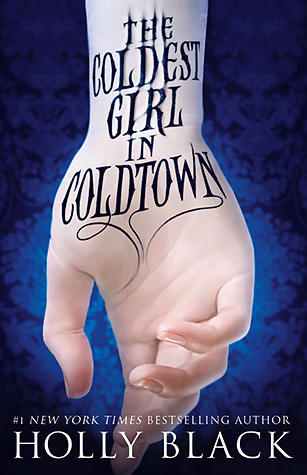 Vicious vampires + a believable heroine + snappy one-liners + the coolest explanation of vampirism in YA fiction right now (oh dear I hate temperature puns) = an excellent addition to the growing vampire mythology. This book is grisly and violent. If you really want to get into the spirit of things, read it right before you go to a Halloween party. Just don’t freak out if, when you wake up from your drunken haze, all the other party goers have had their blood sucked dry. Read my original review of this book here. I will never forget the first time I heard this story read allowed in my elementary school library class. 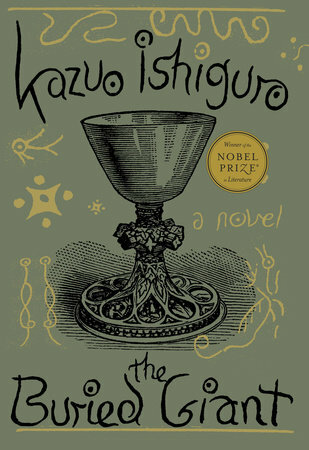 It’s about a hermit who cuts off a creature’s tail, and then the creature stalks him repeating “I’m coming to find my tailypo” until it finally eats the hunter and his dogs on a dark night. The stuff of my earliest nightmares. This has been a very busy October for yer dedicated Captain o’ these pages, what with my escapades at The Boston Book Festival and various nerdy adventures on land and by the sea. My moments of freedom have been few and far between, and while I’ve read at least ten books since finishing Rooftoppers I haven’t yet managed to write a half-decent review. There’s quite a tempest loomin’ on the horizon of my bookish future as well, as the holiday season is approaching, so the good ship Bookshop has been battening down the hatches for the busiest months of the year. My reviewing energy may dampen a little in the near future, but never fear. Neither hell nor high water, nor indeed a plague of paper cuts from wrapping paper, can keep me away from saying stuff about books for long. We have a stack of Rooftoppers on display at my bookshop right now, and I will admit that I was enamored with this new-to-America children’s book even before I read it. The cover is beautiful and subdued; an old fashioned design which won’t look out of place tucked alongside classics like The Golden Compass and The Graveyard Book. 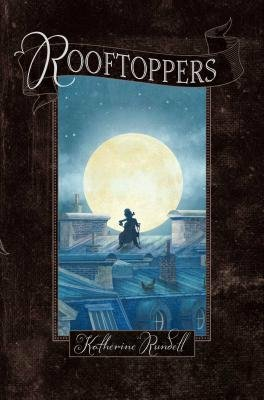 Rooftoppers has a charming narrative voice which calls to mind some of my favorite children’s books like Inkheart and Peter Pan, alongside a timeless setting for secretive adventures similar to The Invention of Hugo Cabret. While it shares some excellent qualities with each of these books, though, Rundell’s writing has a unique style all her own. She chooses her words carefully but includes enough warmth and wit in all of her dialogue and descriptions to keep us smiling at her dreamy view of the world. I say “dreamy” there simply because I’m not poetic enough this morning to capture the right words to describe the mood of Rooftoppers. It is exactly the sort of book I would have wanted to read sitting in the cold moonlight after everyone had gone to bed when I was nine or ten years old. There’s beautiful imagery, international travel, clever conversations, and intrepid children having adventures in a word all their own. The story starts with a baby getting rescued from the a shipwreck, found floating in a cello case by an awkward but kindhearted scholar. From the second page, we get a reassuring peek into the nature of the relationship between rescuer and cello-baby: “It is a scholar’s job to notice things. He noticed that it was a girl, with hair the color of lightning, and the smile of a shy person.” Charles raises Sophie on his own, and she grows up happily in his curious house eating cake off books (she has a tendency to break plates), reading Shakespeare, and ignoring the tangles in her hair. Sophie refuses to give up hope that her mother still lives, and a phrase which she and Charles share with each other on numerous seemingly-hopeless occasions is “never ignore a possible.” The family they make is happy but unconventional and so, as it often happens in books about blissfully un-brushed and precocious children, the dubiously omniscient “state” decides to meddle. The unfeeling Ms. Eliot, a rigid woman from the National Childcare Agency who is described as often speaking in italics, decides that Charles is unfit to raise Sophie. It seems he knows so little about bringing up girls he has scandalously allowed her to wear a shirt which buttons on the right like a man’s, as well as a slew of other frustratingly closed-minded grievances. In defiance of their orders to be separated from one another, Charles and Sophie risk everything to escape England with high spirits in the face of adventure. They follow a clue found in Sophie’s old floating cello case to a music shop in Paris, and decide to try and find her mother while they wait to be left in peace. One thread of the plot which puzzled me a little was the selflessness of Charles as he helps the child he raised go searching for a mother she had never met, but between his devotion to her happiness and the unlikely odds that the woman is even alive, I could easily shelve my cynical expectations. In Paris, Charles and Sophie have to match wits with shifty police officers and obnoxious legal waffling. Sick of hiding in her hotel room all day, Sophie climbs up to the roof, only to discover that the rooftops of Paris are home to groups of children living free from the rules of the streets below. She strikes up a friendship with Matteo, an orphan who vows never to go down into the streets again, and some of his friends and learns that thrill and freedom of a life above city could provide her not only with a measure of safety from the authorities but also, if she’s very lucky; very careful; and very brave; a path to her long lost mother. I know that the books to which I compared Rooftoppers were mostly stories with some fantasy elements, but this novel is actually not a fantasy at all. I hesitate to call it “realism,” since the historical setting is rather vague to allow for the traditional elements of a Nineteenth Century children’s adventure, but there’s no magic other than luck, hope, and powerful music. Many of the characters also bear descriptions which imbue them with almost fairy-tale qualities: for example, Charles “had kindness where other people had lungs, and politeness in his fingertips.” Because the characters tend to see each other as wondrous beings, there’s no real need for dragons or spells. It was an absolute pleasure to read about Sophie and Charles as they looked out for one another, and I was easily convinced by Matteo and his hardscrabble friends that the unconstrained world above ground is the best sort of freedom a child could imagine. The characters in Rooftoppers were determined, resourceful, and hopeful even in the face of devastating disappointment. If Rundell had been less skilled in her creation of a storybook atmosphere, I think I might have found some of the characters and events a little too good to be true. Luckily, she writes so beautifully that even where the plot failed to surprise me it still managed to be delightful. The tension in Rooftoppers sems mostly from the risk of characters losing one another, which is sweet and meaningful but means that readers who are easily frightened won’t find themselves haunted by the terrifying situations which are so plentiful in other Middle Grade novels. (I loved me some terror when I was of that age, but I understand that some parents would rather not be woken to the sound of screams after their kid stays up too late reading.) There’s a little bit of violence, but it’s more reminiscent of the Lost Boys in Peter Pan than any true evil. The end was bittersweet and a little abrupt, but I was extremely relieved to see that there was no cliffhanger paving the way for a sequel. 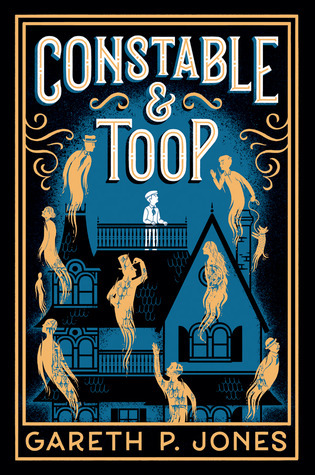 Rooftoppers can stand alone as a charming book to read on a dark night, particularly if the power’s out and you’ve got a warm fire, and you’ll be thinking about Sophie, Charles, and the shadowy children against the sky long after their adventures are through. I haven’t been so entranced by the rooftops of Paris since I went through a phase in Elementary School in which I watched The Hunchback Of Notre Dame every afternoon. I imagine that sensitive children with mysterious spirits, and grown-ups who miss the atmospheric stories which stuck with them throughout the years, will enjoy Rooftoppers. It leaves you with your head in the clouds and your heart in your throat. She Rises was a strange combination of things I love and things I hate, and while I definitely thought it was an interesting and beautiful book there were some details which made me shudder on a non-literary level. Before I get my review underway I will mention that while I’m quite keen on seafaring violence, and am perfectly content to read about despicable characters, I had to skim over several instances of sexual depravity in order to keep reading. If that sort of thing doesn’t bother you, and if you like nautical adventures and tragic (rather than sordid) love stories, She Rises might be the book you wish you’d read over the summer. I was happy I brought it with me on my weekend trip to the Maine coast, even though it takes place mostly in England or on British ships, because it was atmospheric, intense, and beautifully described. This novel is as much a story about the irresistible (and deadly) call of the sea as it is a tale of how unlikely relationships can form all-consuming bonds of devotion. Worsley writes about that intensely dramatic devotion in the close quarters of female society, on the one hand, and amongst conscripted men in the brutal 18th century Royal Navy, on the other. The stories of Luke Fletcher and Louise Fletcher are told in alternating chapters, which I found distracting at first but which fell into a rhythm to match the tossing of the warship Essex on waves after about four or five chapters. Louise tells her story in the second person, recalling the events which took her from a life making butter in a dairy to that of a lady’s maid in Harwich. We read about the intimate memories which shaped her intense loyalty to and fascination with her charming but volatile mistress in an almost voyeuristic fashion; these words are spoken with love and trust, so their very presence upon the page made me feel like I was privy to a secret which I shouldn’t hear but which was too mesmerizing to ignore. Louise’s chapters were a little slow to capture my interest, but soon enough the touching, emotionally complex story drew me in with its layers of social intrigue and budding identity struggles. The almost painfully earnest levels of devotion had echoes of Jane Eyre or even Wuthering Heights, if the Bronte sisters had focused more on women’s personal relationships with each other; there’s plenty of brooding and temper tantrums but also admirable portrayals of friendship. I found Louise’s mistress hard to understand at certain points in the novel, but since we are getting Louise’s version of events it makes sense that her portrayal of Rebecca might suggest an inscrutable, almost idolized figure of personal power. In contrast to Louise’s languorous early chapters, Luke’s first pages begin with his disoriented realization that he’s been press-ganged into the Royal Navy and is stuck upon the warship Essex with nowhere to run or hide. We’re dropped right in the middle of action, and I found myself instantly invested in poor Luke’s undesired adventures, despite the fact that his parts of the novel are told in an almost detached third person point of view. The difference in narrative voice is dramatic and easy to follow, and my only complaint about the structure was that I would find myself thoroughly engrossed in Luke’s difficulties amongst the sailors only to be snatched away from the scene and placed back in the stuffy Harwich house, and vice versa. Both story lines gripped my attention relentlessly. Luke’s situation appealed to me slightly more because I’m a huge fan of nautical adventures, but the fact that I was always disappointed to leave a character at each break says some good things about Worsley’s pacing abilities and careful planning. The seafaring chapters had all the historical detail and high-stakes adventure of Patrick O’Brien’s series, and the young sailor forced to learn the ropes while surrounded by chaos reminded me of the Jacky Faber books. However, Worsley never shies away from the harsh realities of 18th century life on land or on the oft-romanticized sea. Luke forges loyalties out of necessity and fear, he witnesses depravity; cowardice; and betrayal, and he must eventually choose between his own morals and his desperation for peace and safety. I tend to imagine that the life of a powder monkey or a bonnie sailor would totally have been the life for me in times past, but reading about the tribulations suffered for months or years away from land, and the extremely unpleasant circumstances of press-ganged men, reminded me that a life confined to soggy wood and endless crowds of men could get both stifling without privacy and endlessly lonely. The sailor characters were colorful and vulgar; I can picture them even now as though I had sailed with them myself, though some events aboard the ship happened so abruptly that I had to pause and consider what might drive the rather underdeveloped officers to make such strange decisions. Luke’s scenes focused on the inward turmoil of a character without any privacy in much the same way that Louise’s chapters showed how two people can eschew all other company and still experience worlds of their own. The novel’s minor characters fell flat a few times, but this wasn’t so important since the important relationships were really forged between five or six individuals and their vivid surroundings. She Rises is both an introspective novel about human intimacy and a story about how heavily one’s surroundings can influence someone’s path. From the dairy farm, to ballrooms, to cramped hold of a ship, to the terrifying freedom of the rigging, and back to dry land, the Fletchers wander in and out of distinctive settings as well as in and out of peoples’ lives, changing drastically as they do. I loved the descriptions of the sea’s power, not only aboard the ship but also in Louise’s seaport town where the rising tide can flow through the streets and the patterns of commerce and social interaction are dictated by the temperament of the sea. The Fletchers are cursed with an inability to ignore the call of salt water, and since I love the sea more than I love most people, this was the relationship which fascinated me most in She Rises. No character has complete control over their own destiny, nor do they even have true agency over their most private identities, and this tragic but beautiful inevitability is reflected through the ever-changing but also timeless landscape of water and horizon. The setting is written with such reverence that I’m sure Kate Worsley must feel that draw of the tide herself from time to time. Despite this novel’s fixation on the sexual side of human interaction and the occasional disjointed leap from characters’ motivations to their actions, I found it thought provoking and evocative. The plot is handled cleverly – and well it had to be – since there are a few dramatic twists which would be spoiled had she been lazy with her structure, though I did guess one ahead of the reveal. 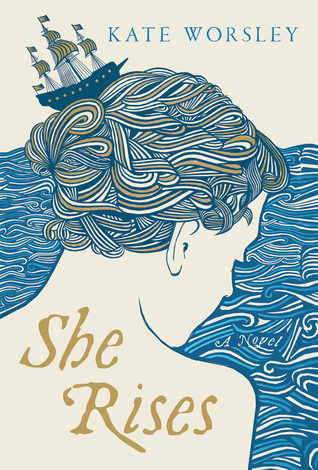 I would recommend She Rises to fans of tense seafaring adventures, readers who expect their romance to come with a large serving of tragedy and frustration, and anyone who is interested in how gender and identity play a part in our perception of our fates; our abilities; and our environments. Think Great Expectations meets Master and Commander meets Orlando. If you’re going to be near the coast at any point this year, bring this book so you can appreciate the eternal power of the sea while also appreciating the fact that it’s much more comfortable on dry land, in modern times, than it was in the salty life you’ve imagined for yourself when your day job gets unbearable. At least you haven’t fallen asleep a free individual and woken up as an unwilling member of His Majesty’s Royal Navy, where life is short and your story’s harrowing.